How’s the Market? 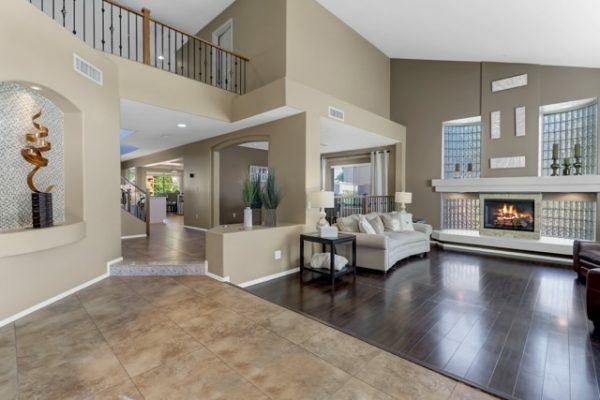 Heres your West Valley Market update for March 2019. Are we shifting into a Buyers market? Well in looking at this number March produced I would certainly say the ship could be shifting coordinates and steering towards a Buyers market in the upcoming months. Definitely something to keep our eye on as each month unfolds. Before we get into the March market, Id like to point out a couple of things to remember. First, remember the closed sales that report in March are actually February’ sales pending. Now February’s unseasonable cold temperatures, even snowing in some parts of the Valley and lots and lots of rain, certainly did not help home buying traffic. Now that spring is in full bloom, I can tell you that the homes that we have put on the market this month are getting more traffic than I ever imagined possible! Various price points, various locations around the West Valley and the showings are 3-5 daily, including weekdays!! Its absolutely insane that there are that many potential home buyers out shopping. So with that said, this shift we see March Market update could swing back quickly in April, only time will tell. Ok, so hows the market? Well as far as home prices, we are still seeing positive increases. All west valley cities were up over last year, top 5 cities were Tolleson lead the pack 12.83% over last year, Buckeye up 10.05%, El Mirage increased 9.47%, Litchfield Park 9.17%, Goodyear 9.09%. Something we watch closely in the real estate market is inventory levels. The housing market is still a commodity and driven by supply and demand. The lower the supply, greater demand, drives home prices up. The larger the supply, less demand, home prices tend to go down. All west valley cities, had tremendous increases in the amount of Active listings over March 2018, with the exception of Laveen which was -1.8% down over March 2018. Tolleson had a whooping increase with 77.8% over last march, Glendale increased by 24.7%, followed by Phoenix 22.6%, Peoria 21.5%, Goodyear 19.7%, El Mirage 18.9%, Surprise 17.6%, Buckeye 16.2%, Litchfield Park 11.7% and Avondale was almost flat at 0.5%. Maricopa county overall was up 15.9% over same month last year. Now we are still considered to be in a low inventory-seller’s market and we can use more homes on the market to continue to feed the fire, these increases are not a chicken little scare by no means, but definitely something to keep our eye on. So the increasing inventory coupled with slow sales is little more unnerving, but we did have less than perfect weather conditions against us. As fore mentioned, we will see what April brings. But as far as closed sales in March, only two cities in the west valley out sold March 2018, El Mirage increased by 2.1% which was 48 closed sales versus 47 in 2018. 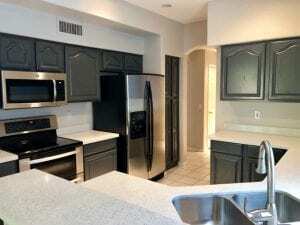 Tolleson increased by one closed sale as well 135 in 2018 and 136 in 2019. Buckeye was the slowest down -20.7%, Litchfield Park -15.7%, Peoria down -15.0%, Phoenix -14.7%, Avondale -10.6%, Glendale -9.5%, Goodyear -7.6%, Surprise -6.6%, & Laveen -5.6%. Maricopa County was down -11.8%. Market Insights: Housing affordability remains strong as well as low unemployment this will continue to secure the real estate market. Coupled with the Feds announcing the are not going to be increase interest rates, the future of the real estate market is still look very sound. Market Disruption: I am so excited to share with you all how Keller Williams is bringing more value to our buyers and sellers and completely disrupting the industry. As the worlds largest real estate company we have now partnered with Keller Mortage to bring ZERO COST loans to our clients!! What does that mean? ZERO Origination fee (this is typically 1% of your loan) ZERO Underwriting Fee (typically $875) and ZERO Processing Fee (approx $625) AND we give you $1000 credit towards 3rd party cost, which can be used to pay for things like your appraisal!! These loans also have low interest rates, the have beat or were better than the other lenders. We have saved our clients $4000, $6500 and $3500 just this month!! Sellers, when you list with us, your potential buyers can take advantage of this program instead of asking you to contribute to their loan cost!! Call today for more details. When we buy a new home, there is so much excitement that comes along with it – decorating ideas, new furniture, and more space for a growing family. On the other side of that excitement, we often think of potential hazards that can happen – we have inspections done to make sure everything in the home is working properly, we buy homeowners insurance to protect us when those crazy monsoon storms hit, and we even install security systems to keep us safe from a home invasion. But where does a pool rank on that scale of excitement to hazardous? Maybe you’re like me, and it’s both. 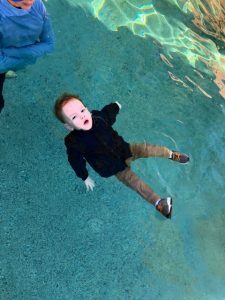 We were so excited to build a pool last year, thinking of all the fun parties we could host and staying cool in the heat of summer, but we also have a two-year old and we know that a pool can be an unsafe place for him. We installed a pool fence, but in our culdesac of five other homes, there are three other un-fenced pools. 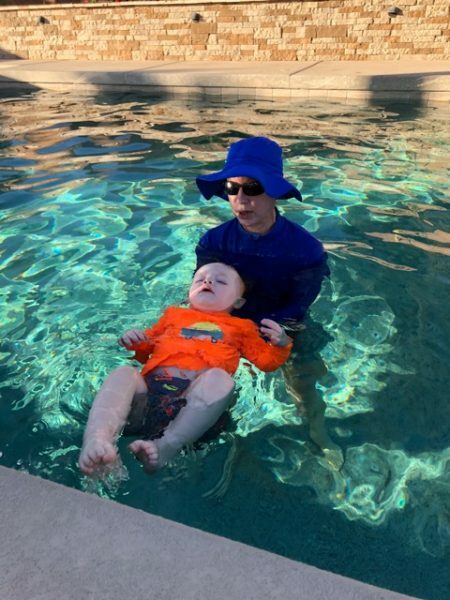 That’s why we enrolled our son in Infant Swim Resource (ISR) swimming lessons. We feel strongly that ISR lessons are the best swimming lessons in which you can enroll your child. ISR instructors are trained and certified in teaching life-saving swim-float-swim self rescue techniques. That means that if your child were to fall into the pool, they could float on their back in order to catch their breath, turn over and swim, and repeat until they reach the edge of the pool. Children six months old to six years old are able to take these lessons. The lessons themselves are 10 minutes per day, five days per week, for six to eight weeks depending on the child’s need. It may not seem like a lot of time, but at the end of those eight weeks, I was confident in my son’s water safety skills. Instructors want to make sure that children are prepared for any situation, so In order to graduate, each child must test their skills in their pajamas, summer clothes, and winter clothes. I was so impressed that my son could float in his coat, hat, and heavy shoes! One question people always ask is: How much does this cost? We paid a one-time registration fee of $105 and then paid our instructor $85 per week (please keep in mind that costs may vary depending on your location). At the end of eight weeks, we had paid just under $800. Now $800 is a lot of money, but you have to think about how valuable it is. 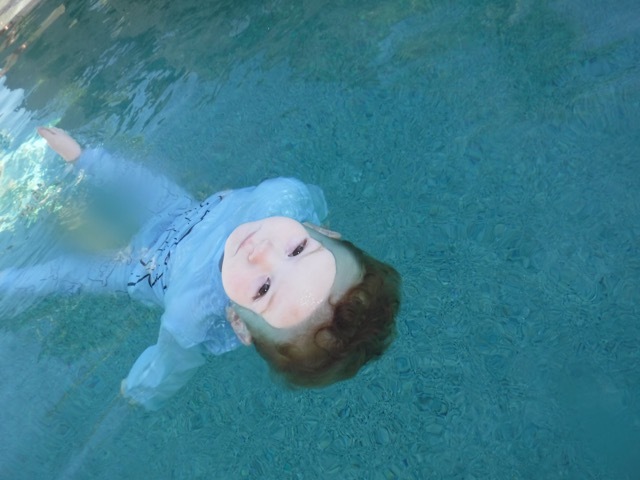 Think of the peace of mind that you will have knowing that if your child fell into a pool, they would be safe. To me, that’s priceless. One of the reasons I am so passionate about ISR lessons is because of Maverick Thomas and his parents. Before my son was born, I worked in children’s ministry at a large church. I had the joy of teaching Maverick in preschool Sunday School. 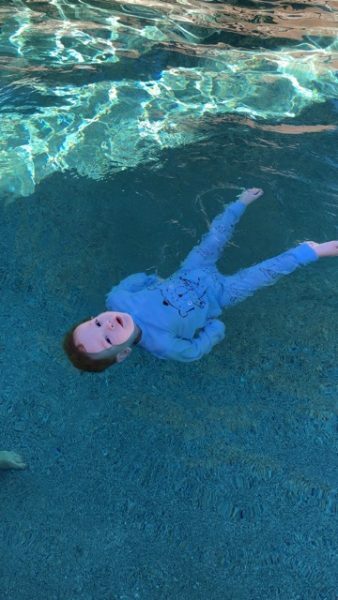 Seven and a half years ago, just a couple of weeks shy of his fifth birthday, Maverick drowned at his brother’s birthday party. Watching his family mourn and grieve his loss was, and still is, devastating. Maverick’s parents are incredible people, and have turned their loss into a legacy. They devote themselves to educating others about ISR and the life-saving techniques that they teach. I’m so thankful that they introduced my family to ISR. I sincerely hope that if you have a child, aged six months to six years, you will look into ISR lessons. Drowning can be prevented; your child simply needs the self rescue tools and techniques to learn how. 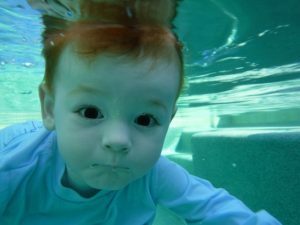 To find an instructor near you, go to www.infantswim.com. Buy BRIGHT Swimwear! Think bright orange or hot pink, avoid blues, greens, and dark colors as they can blend in with the pool water color. If you have a hard time finding bright swimwear in stores, try www.primary.com – they have some great affordable options! Do not use floaties! These are detrimental to your child learning how to swim and give them a false sense of security in the water. No distractions by the pool! Make a rule that phones and books aren’t allowed poolside when you are responsible for watching kids play in the pool. Drowning is silent and can happen in 20 seconds. A special thank you to Eva Hagan for taking the time to write and share this valuable information with our clients and readers. And also a special thank you to Griffin for providing some great photo illustrations! What’s the difference between Home Staging versus Decorating? This is a question I get over and over especially when a home already has lovely decor. Would this be a home that should still be staged for selling? Why do you even need to stage a home for sale, don’t buyers appreciate that “lived in homey-look?” Well to put it simply, when decorating, the homeowners individual style, comfort level, color choices, hobbies and interests would all be taken in to consideration when formatting a space. 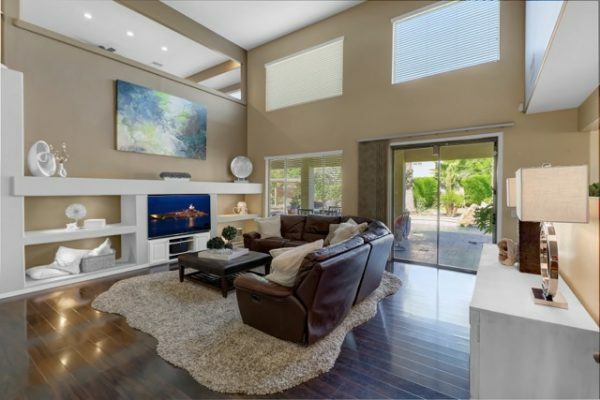 When staging for sale, we look at things much differently, we want to appeal to the masses, the space is neutralized and selling features within that space are accented. Less is more as to not over power those features. Recently our team closed a sale of an absolutely stunning home that had been previously professionally decorated. To answer the above question, yes we still staged the home for sale. 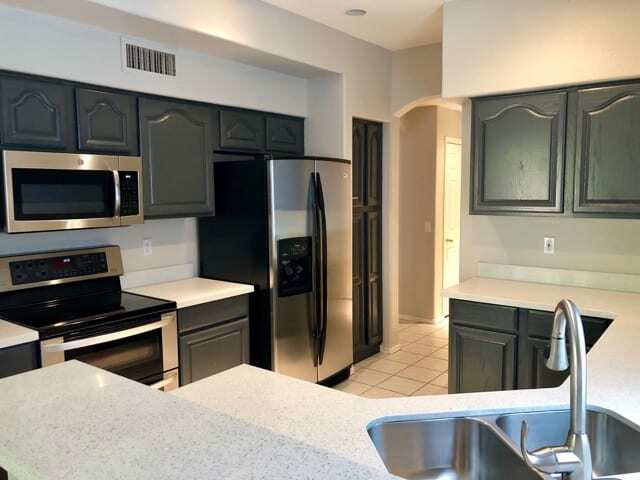 Lets take a look at the before and after photos and I can point out the difference between staging and decorating. The first picture is the before photo of the family room, as you can see the home is beautifully decorated. Tasteful and cozy, the family collection of Geodes are beautifully displayed on the niche shelves. Now take a look at picture #2, the staged for sale photo. As you can see we neutralized the wall color on the accent wall, brighting up the entire room. We also removed the bench seating and coffee table & floor lamp to open up the space and maximize the space, as well as re-staged neutral colors on the niche shelves. Again, decorating takes into consideration the living comforts, staging we want to maximize the space. Now lets take a look at the Formal living room. Stunning custom artwork adorns the glass block fireplace, they purchased from an artist in Sedona. 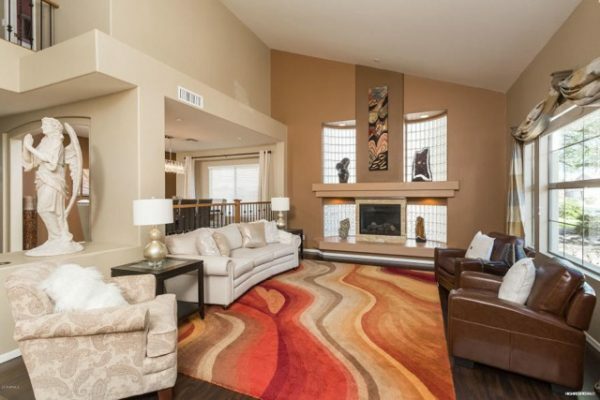 Keeping with the homeowners love of Sedona’s Red Rock tones in the area rug flow throughout giving the space a serenity of beautiful Sedona. Now take a look at next photo, the staged version of this same room. You will see we removed the area rug allowing the gorgeous wood floors to be displayed. Replacing the serenity Angel with simple low-lying greenery which allows the eye to travel the entire space and into the backyard with a gorgeous view of the pool. We also neutralized the wall color surround the fireplace which really popped the glass block surround. The Kitchen, the heart of the home, right? 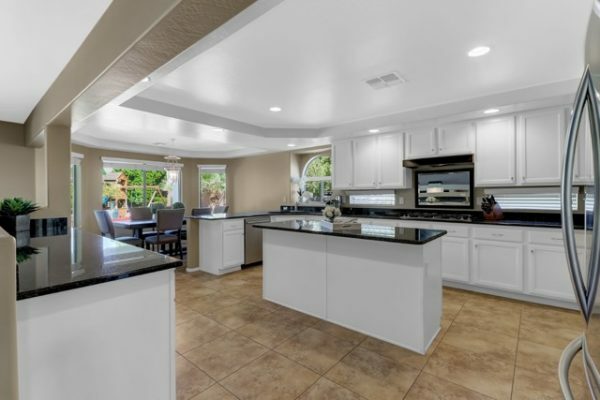 This home featured a very large kitchen with lots of fresh bright white cabinets and large eat-in area. Looks nice and clean. Here we made some simple addition to add to this gourmet kitchen, that really added a nice cherry on top to the already nice kitchen… cabinet knobs. The addition of simple cabinet knobs and drawer pulls add such a nice upgraded custom look to any kitchen. The space also featured a picture window above the kitchen sink, removing the decor and replacing with a simple white orchid allowed natural light to flow and accent the beautiful arched window. Just off the kitchen is a spacious breakfast nook, very nicely appointed for family dinners and game night. In the next photo we neutralized the space of religious art and the game night book shelf opening up the size to its fullest and appealing to the masses. Do we stage the exterior? Does the exterior matter to potential buyers? Absolutely! We leave no stoned un turned, so lets take a look at the pool area. As you can see this home had an amazing pool and lush landscaping surround. 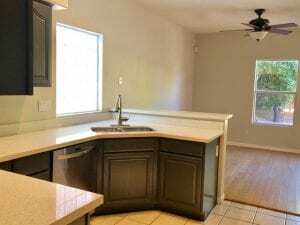 However what this home also featured was an oversized lot which is hard to come by in the greater Phoenix area and therefore a great selling feature. So as you will see, we had the gardner cut back the bushes so we could maximize the space and expose the expansive lawn and play area surrounding the pool. 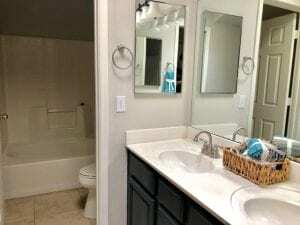 Do staged homes sell for more? Why do we go through so much trouble when listing our properties? 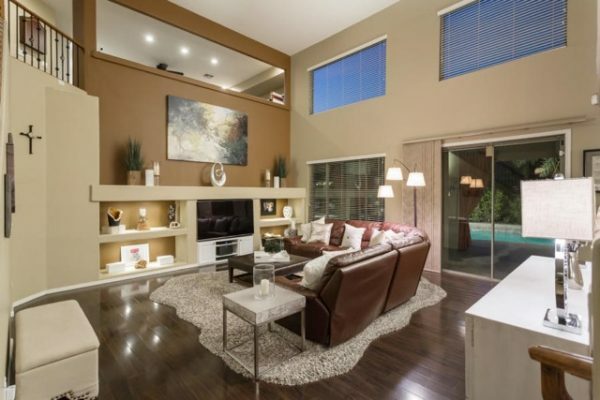 Staged homes seller quicker than the average home on the market and for more money. This home was listed with another agent and the clients received an offer that was less than their list price and later decided to hire our team to take over, we got our clients $30,000 more than the offer they had previously received. That’s why we take the effort to stage our listings. We’d love to help you prepare your home and market it to help you get more money by appealing to more buyers. Give is a call if you’d like more information. Over the last several years we have seen the bar raised in Buyers expectations. My theory is that during the real estate crash, many homes were purchased by investors that rehabbed the property and “flipped” the homes. These completely remodeled homes came on the market in a direct competition with owner occupied properties. 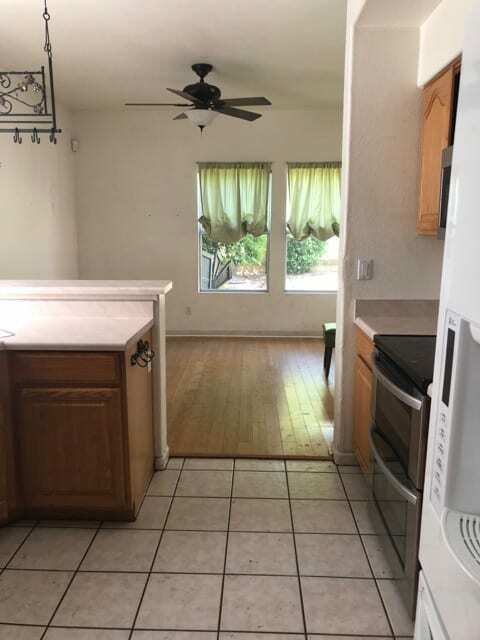 When you step into a home that has brand new carpet, new paint, updated kitchen & sometimes baths, then you go to show your prospective buyer a home that has dirty dishes in the sink, stained carpet, dirty baths and in desperate need of interior and exterior paint, its easy to assume who is going to get the higher offer. If you follow my monthly West Valley Market report, you have heard me say this over and over, the homes that come on the market, “staged and priced right” sell quickly, while others sit and continue to reduce their price. This has created what we in the industry call a “spread” in market values of the same properties. When completing a Market Analysis of the same comparable properties we find some selling much less than others with upgrades and updates. Over the past few years, I have presented my sellers with 2 to 3 Market Values based on the upgrades they are willing to complete prior to market. We have had the pleasure of seeing a tremendous return for our sellers, putting thousands more in their pockets at closing! With that said, we decided to give our sellers an even bigger advantage in this extremely competitive market. We have gathered industry professionals from handymen, painters, general contractors, cleaning pros, to granite/quartz installers and even flooring to bring discounted rates to help you get top dollar for you home! That may sound over whelming, not to worry, the process is way easier than you might expect. We will let you know what needs to be done to the property in order to maximize the sales price as well as have our partners facilitate the work! Check out this property with Before and After pics. Our client was able to take $10,000 from her Home Equity line and fix up the property. This $10,000 investment, netted her an additional $28,000 in her pocket at closing! Even better, we sold in 4 days on the market, full price CASH! Call me today and so we can discuss ways to maximize the sale of your property! The home of my dreams has an rv gate. Surely I can park my rv there right?!?!? This is the number ONE question I get from out of state buyers that have an RV. “Well. if I can’t park my RV why do they advertise an RV gate”. Great question! Unfortunately more often then not, the answer is no! The rules are you can park any toy, boat, car etc as long as it doesn’t show over the fence line. Luckily for you, our team knows all the neighborhoods in the west valley that WILL allow you to park an RV. Additionally, if the neighborhood does not allow RV parking we know the closest location that you can store your RV. There are a handful of neighborhoods that have an HOA (Homeowners Association) and allow RV parking. Many of the neighborhoods that allow RV parking are not in an HOA area. HOA’s can be positive or negative. The short version is HOA neighborhoods have a lot of control and in turn they make sure your neighbors cannot paint their house any color of the rainbow they want without permission. They also regulate any improvements a homeowner would like to do (aka an extended driveway, a front porch, really anything architectural). Additionally they provide and maintain community features such as parks, sports courts and walkways. There are stats that show neighborhoods that are in an HOA hold their value or increase in value faster. Another category (which you definitely need a neighborhood expert for) are neighborhoods that are not in an HOA but they still take care of their properties. This is really important. If your agent suggests a neighborhood, drive that neighborhood during the day, at night and on a weekend day. Pull over and talk to a neighbor. Ask questions. Does your agent live in that area? If not how many homes have they sold in that area (aka are they a neighborhood expert). To summarize, interview your agent. Their knowledge will make a huge difference in transaction. And I challenge you to interview myself and the Jennifer Sanchez Team. We will blow your mind and educate you with as much knowledge as we can. We realize your home is one of the largest investments of your life and we take it seriously. We can’t wait to hear from you! 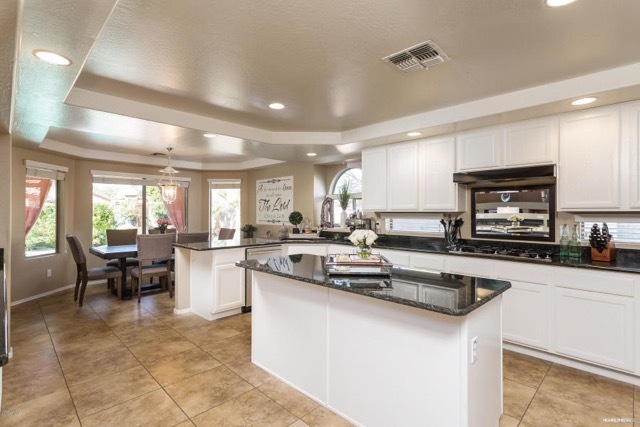 Author: Stephanie Hunt, is a long time buyers’ specialist for the Jennifer Sanchez Team at Keller Williams Professional Partners and can be reached at 623-229-0416. Heres your West Valley Market update for January 2019. It’s a great time to be a homeowner as median home prices continue to increase in all West Valley cities, starting 2019 off strong. El Mirage had the largest increase over Jan 2018 with 14.24% increase, Buckeye 13.60% increase, Goodyear up 11.18%, Phoenix 11.18%, all other cities also showed increases. Inventory levels remain scarcely low and homes did take a little longer to sell. Many cities took a slight dip in the amount of closed transactions, Maricopa County was down -11.9% of January 2018. While most cities in the West Valley showed a slight decrease in closed sales, Tolleson Laveen, Goodyear all had an increase over last year. Market Insights: We are definitely seeing positive ROI when sellers are willing and able to do improvements to their properties prior to market, meaning paint, cleaning or replacing carpets. I have always told my sellers “Nobody want to buy your house, they are looking for their New Home!” Staged, clean, market ready homes are selling faster and for more than their competition. Thinking about selling? Call us today and we can explore your options for selling; cash investor-pick your closing date-no hassle, home improvements that will bring you the highest net return and we can help you facilitate the work! Call us today and let us show you how easy it can be done! Thinking of Buying, please give us a call and ask about our free down payment programs! How’s the Market? Heres your West Valley Market update for December 2018. Happy New Year everyone!! Hope you had safe, healthy and happy holidays! As the year came to an end, I thought I would do this month’s update a little differently with a short snap shot of each West Valley city and how each city finished up the year. Median home price increased 6.71% from $212,500 in 2017 to $226,500 for 2018. Closed sales were down -6.5% over last year, 1334 closed 2018 versus 1428 in 2017. Inventory was down -8.33% from 2017. Median Home price increased 10.87% from $200,950 in 2017 to $222,800 for 2018. Closed sales were increased over last year by 11.6%, 2775 closed 2018 versus 2486 in 2017. Inventory was down -27.70 from 2017. Median home price increased 9.75% from $197,000 in 2017 to $199,500 for 2018. Closed sales were down -6.2% over last year, 592 closed 2018 versus 631 in 2017. Inventory was down -6.19% from 2017. Median home price increased 6.82% from $220,000 in 2017 to $235,000 for 2018. Closed sales were down -9.4% over last year, 4391 closed 2018 versus 4464 in 2017. Inventory was down -9.4% from 2017. Median home price increased 7.53% from $260,500 in 2017 to $280,108 for 2018. Closed sales increase 2.9% compared to last year, 2100 closed 2018 versus 2041 in 2017. Inventory was practically flat 0.38% compared to 2017. Median home price increased 11.64% from $217,000 in 2017 to $242,250 for 2018. Closed sales were down -6.3% over last year, 844 closed 2018 versus 901 in 2017. Inventory was down -11.56% from 2017. Median home price increased 11.31% from $283,000 in 2017 to $315,000 for 2018. Closed sales increased 11.3% over last year, 779 closed 2018 versus 691 in 2017. Inventory was down -2.17% from 2017. Median home price increased 9.43% from $265,000 in 2017 to $290,000 for 2018. Closed sales were down -6.5% over last year, 1334 closed 2018 versus 1428 in 2017. Inventory was down -5.49% from 2017. Median home price increased 8.89% from $225,000 in 2017 to $245,000 for 2018. Closed sales were nearly flat with last year at 0.3%, with 21,917 closed 2018 versus 21,845 in 2017. Inventory was down -13.62% from 2017. Median home price increased 9.03% from $227,000 in 2017 to $247,500 for 2018. Closed sales were down slightly -0.9% over last year, 3909 closed 2018 versus 3946 in 2017. Inventory was down -13.62% from 2017. Median home price increased 10.00% from $200,00 in 2017 to $220,000 for 2018. Closed sales were up 3.7%% over last year, 651 closed 2018 versus 628 in 2017. Inventory was down -4.43% from 2017. Median home price increased 8.33% from $240,000 in 2017 to $260,000 for 2018. Closed sales were down pretty much flat over last year, 95,830 closed 2018 versus 95,825 in 2017. Inventory was down -12.69% from 2017. So all in all, sales were a little down in most West Valley cities, however the prices have continued on a normal steady increase. This is the type of increase we want to see, normal rise with inflation. Given the “Slim Pickens” with listing inventory, the sales held pretty strong. All cities including Maricopa county had much less inventory for sale in 2018 versus 2017. Best of all for several years now the market has continued to prove its corrected itself and is where it needs to be STABLE & STEADY. We also saw homes sitting on the market that were not as I call it, “ready for market.” Buyers expectations of homes remained high, they want a home that is move in ready, fresh paint and nice updates, those homes sold quickly and most of the time with multiple offers, it still wasn’t the bidding wars of the early 2000’s driving homes to unaffordable prices. As we enter into 2019, I will keep you posted monthly on the West Valley Market Trends, if you would like a complimentary detailed Market Analysis on your property, feel free to call, text or email anytime. How’s the Market? Here is the November 2018, West Valley Market Report. Hope everyone had a Happy Thanksgiving! I am thankful to you all that median home prices held strong last month, as all West Valley cities reported an increase, or held strong with year to date home median prices reported last month. Inventory levels remain critically low, which as decreased closed transactions. Litchfield Park had the highest increase over last year at +4.1% setting them at +13.0% increase over 2017. Followed by Surprise at 3.1% over same month last year, landing them nearly flat with sales in 2017. Tolleson was flat with November 2017 and still up +3.8% year to date. All other cities so a significant reduction in closed transactions, El Mirage -25.4%, Avondale -19.1%, Peoria -16%, Laveen -14.1%, Glendale -9.7%, Phoenix -7.72%, Goodyear -3.3% and Buckeye -2.1% and Maricopa County -7.8%. Oddly enough with slow sales, the average days on market is steadily decreasing, meaning the few homes that are listed each month, priced right and looking good are selling quick, which is why the prices have continued to increase month after month. Market insights: We continue to see a lot of contracts with contingetcy on Buyers needing to sell their home. We are seeing lots of reloctiaons, California, Washington, Illinois and Indiana seem to be leading that pack. We are also seeing a lot of investors still buying home to rent out. As well as “future retire” purchases, were the home, this is were we lease the home for a few years until the buyer retires and relocates to AZ to live in the home. Rental market continues to thrive as many “future buyers” are relocating and just trying to get their bearings down as to where in the Valley of the Sun they would like to purchase. 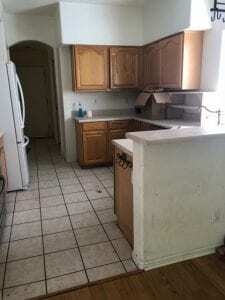 Have you ever wanted to own your own investment property? Call us today and let us show you how easy it can be done and our worry-free program. In most cases our Buyers are not even making a first mortgage payment, as we are a full service team, we find the tenant and protect your investment for you. Thinking of Buying or Selling, please give us a call we would love to help you! How’s the Market? Here is the October 2018, West Valley Market Report. Happy Fall!! Steady as she goes. Our Real Estate market continues to prove that month after month, we are definitely not in another housing BOOM. Buyers are not overriding or settling for just anything. The bar is raised and buyers want homes that look nice at frat market value, homes hitting the market ready to sell are sell in the first 30-45 days, while over priced homes are forced to lower or sit on the market. Low inventory continues to drive home prices in a nice steady upward movement, “safety nets” in place, meaning the strict regulations with the appraisal industry is not allowing a sky rocket of home values like we saw in 2004-2007. A few cities came up short in sales over last year, El Mirage -32.8% although you have to also take in to consideration that there is nearly nothing for sale there, inventory of 1.62 months doesnt give buyers much to choose from. Buckeye has down -19.7% over last year, Tolleson -4.2%, Avondale -2.0%, Goodyear -1.2%, Phoenix was flat with last year and Maricopa County was -1.2% down. Slower sales didn’t effect home values as ALL West Valley cities has increases in the Median home prices over October last year. We are still seeing a lot of contingent offers to allow buyers to sell their existing home. Which makes sense, as most people don’t want to sell their home until they know where they are moving to. We are a full service real estate team, we would love to help you with all your real estate needs. Thinking of Buying or Selling, please give us a call we would love to help you! How’s the Market? Here is the September 2018, West Valley Market Report. As we head into cooler temps October is seasonally consider the beginning of peak season for real estate in AZ. As winter visitors return and folks dreading the snow and ice decide to relocate to our beautiful city. We will for sure be welcoming buyers back into the market as Septembers closed sales took quite a dip compared to last year. El Mirage was the hardest hit with -39.3% compared to Sept 2017, followed by Phoenix -35.8%, Avondale -32.3%, Glendale -32.2%, Buckeye -31.5%, Goodyear -25.6%, Peoria -23.8%, Surprise -20.2%, Tolleson -13.0%, Litchfield Park -10.09%, and Laven was flat with last year. Maricopa county overall reported -6.1% in closed sales over last year. Is this dip in real estate sales an indicator of a shift in the market? Its definitely something to keep our eyes on. Another indicator of a drop in closed sales could also be the low inventory, as all West Valley cities are still incredibly low inventory levels. When there isn’t much for buyers to buy, we could still have a lot of buyers sitting on the side lines waiting for that perfect home to come on the market. With that said another stat to consider is new listings, only two cities had an increase in new listings over last year, that being Litchfield Park 17.7%, and Laveen 10.4% increase. All other cities were significantly less than last year. El Mirage -30.2%, Avondale -21.1%, Tolleson -25.4%, Litchfield Park -17.7%, Peoria -7.0%, Glendale -6.5%, Buckeye -4.6%, Phoenix -2.7%, Goodyear and Surprise are almost flat with last year. New listings taken in Maricopa county is down -5.8% over some month last year. However, even with the low homes sales, low inventory, we did see the average days on market drop in just about all West Valley cities. That means homes going on the market, priced right and staged to sell are selling in under 40 days. We also saw many cities have a decrease in Median home prices. We will continue to watch these critical numbers to see if the real estate market is heading for a shift. Enjoy the gorgeous weather, we will see what October brings!